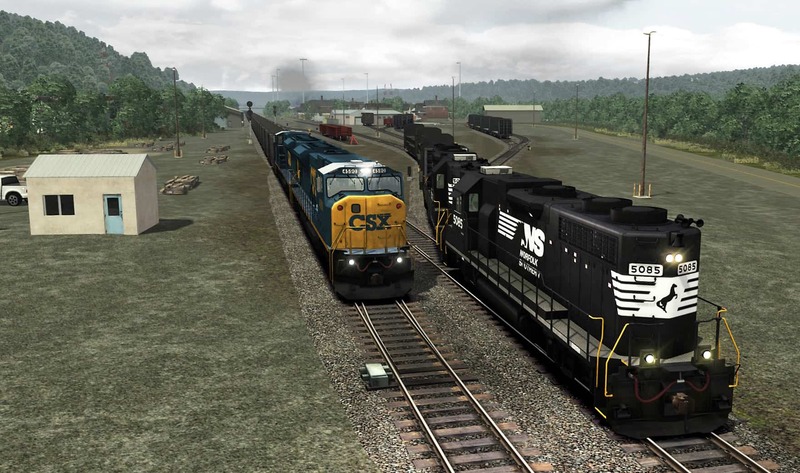 High Iron Simulations’ new scenario pack delivers big-time Norfolk Southern and CSX railroading! 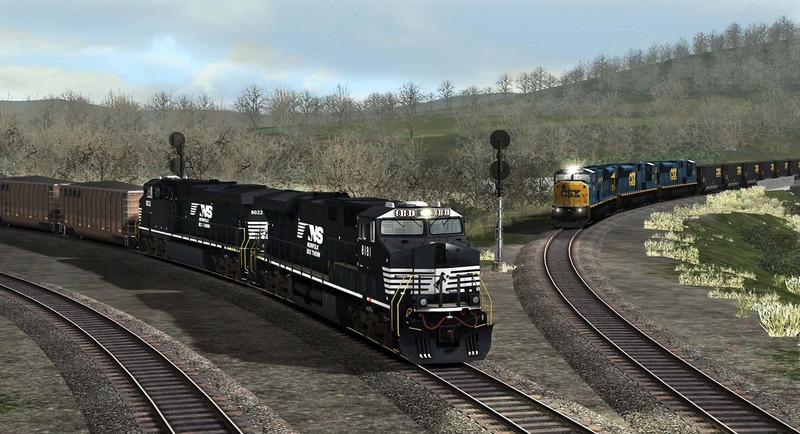 You can go to work handling the heavy trains of eastern U. S. rail titans Norfolk Southern and CSX with High Iron Simulations’ latest popular scenario pack – Coal District Scenario Pack 01! 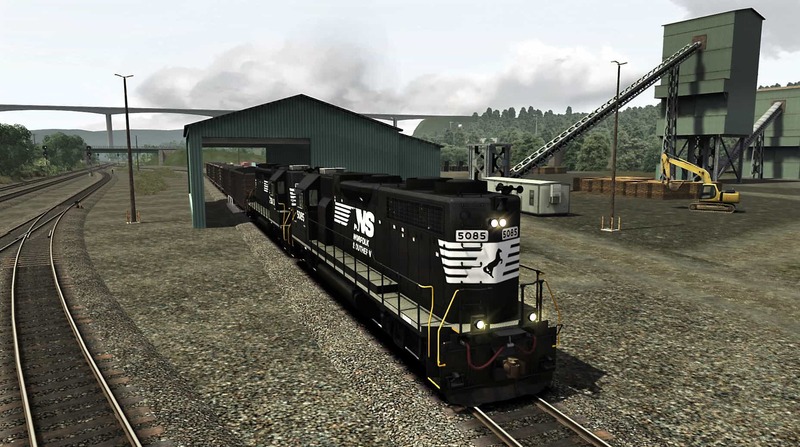 Train Simulator’s Norfolk Southern Coal District route represents the essence of Allegheny-region coal-hauling. Historically, the route was the Monongahela Railway, and today it is owned by Norfolk Southern with CSX sharing operating rights. 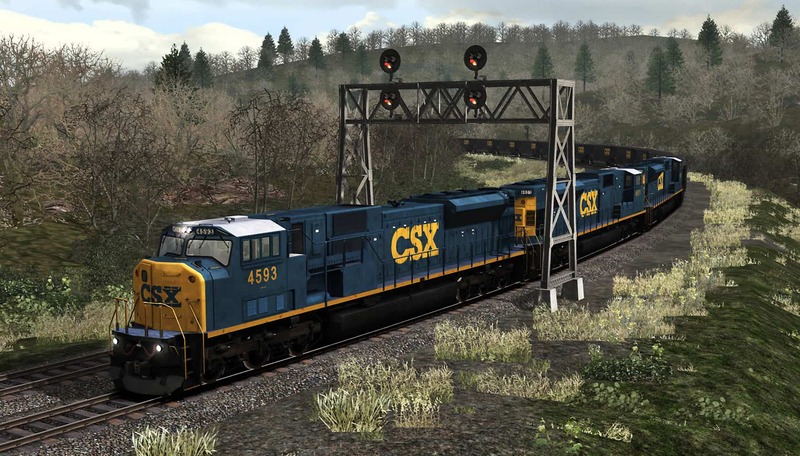 Now, Coal District Scenario Pack 01 puts you at the throttle of a variety of Norfolk Southern and CSX trains operating over the famous and rugged line. 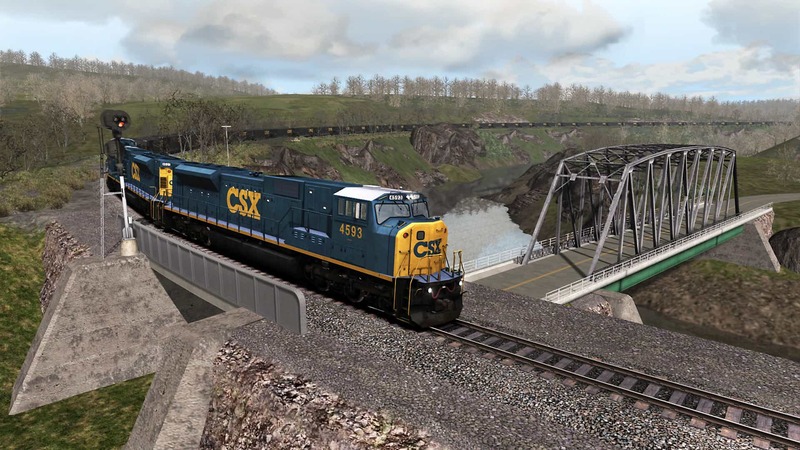 Coal District Scenario Pack 01 delivers ten new and highly realistic career scenarios featuring NS and CSX mainline coal trains, coal loading, local freight operations, and special maintenance-of-way duties. In Coal District Scenario Pack 01, you’ll be called for work across the length and breadth of the coal district route and visit locations on each side of the Monongahela River, including Alicia, Brownsville, West Brownsville, Waynesburg, Emerald Mine, and the remote Manor Branch and massive Bailey Mine. 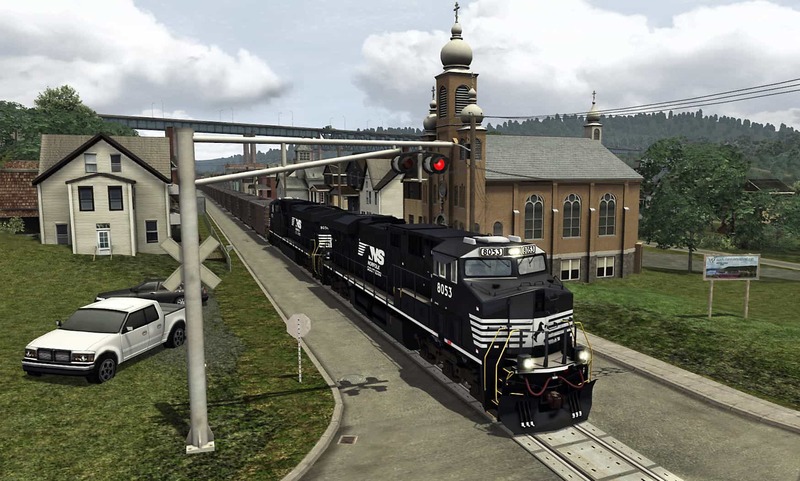 Based on actual NS and CSX operations and train symbols, the ten challenging career scenarios of Coal District Scenario Pack 01 will place you in the engineer’s seat of Norfolk Southern’s modern and powerful General Electric ES44ACs and Dash 9-40CWs, CSX’s leviathan Electro-Motive SD80MACs, and NS’s distinctive high-nose EMD GP38-2s. 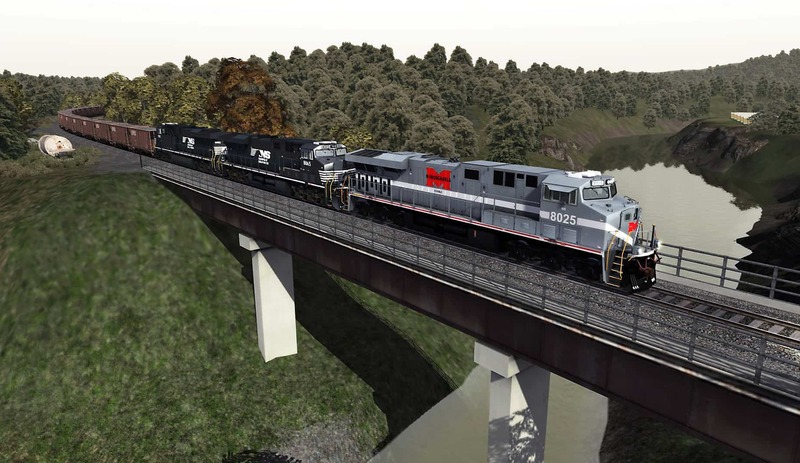 Note: This pack’s scenarios require the Train Simulator Norfolk Southern Coal District route. Select individual scenarios also require the CSX SD80MAC Add-On; Norfolk Southern GP38-2 High Hood Loco Add-On; and/or Norfolk Southern Heritage ES44ACs Loco Add-On. All required Train Simulator content is available at the Steam Store. Now available, Coal District Scenario Pack 01 features 10 realistic career scenarios that put you at the throttle for big-time Norfolk Southern and CSX railroading! 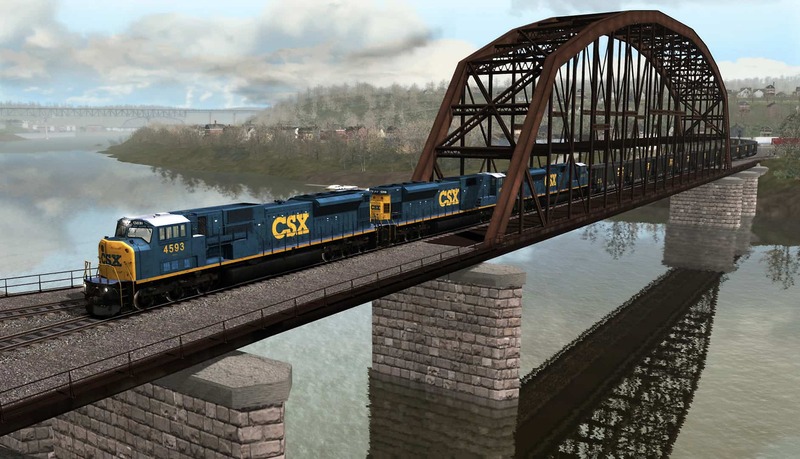 In a scene typical of the busy and heavy railroading on the NS Coal District route featured in Coal District Scenario Pack 01, loaded Norfolk Southern and CSX coal trains converge at Waynesburg, Pa. Screenshots by Gary Dolzall. 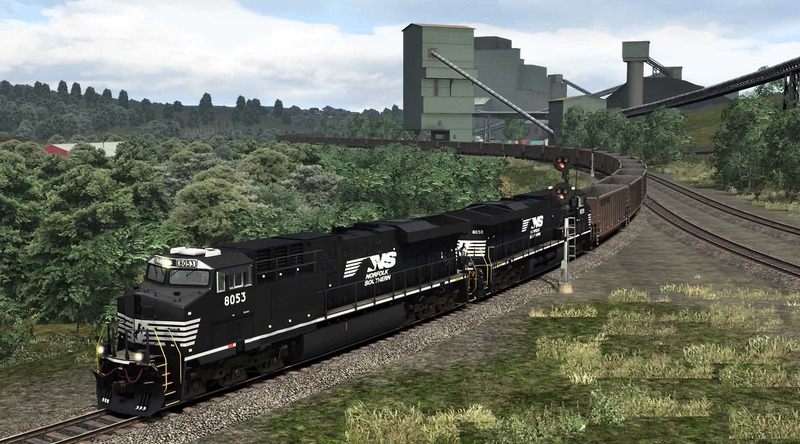 In Coal District Scenario Pack 01’s three-part scenario “NS Train N28,” you’ll be called to climb aboard Norfolk Southern GE ES44AC 8053 as it leads an empties train over the length of the Coal District from West Brownsville to Bailey Mine on the Manor Branch. Near the start of the journey, NS 8053 and a sister ease down West Brownsville’s famed section of street-running (above), then at the end of the challenging run, ease to a stop at massive Bailey Mine (below). 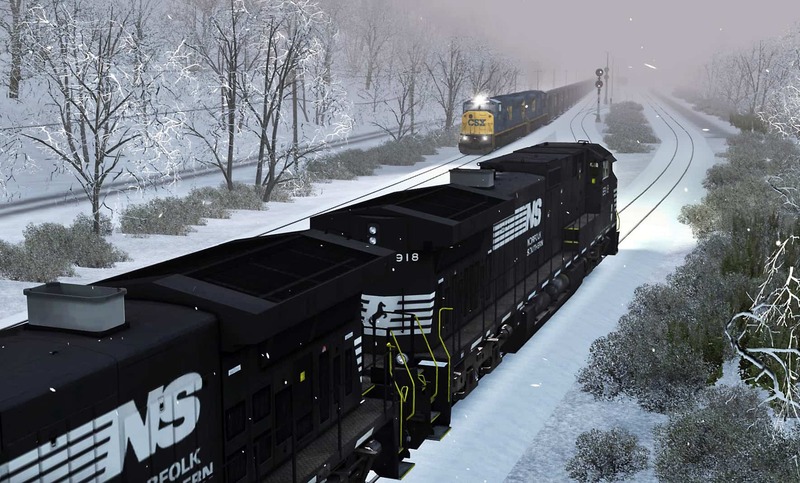 Train Simulator’s Norfolk Southern Coal District route represents the essence of Allegheny-region coal-hauling. Historically, the route was the Monongahela Railway, and today it is owned by NS with CSX sharing operating rights. In the multi-part scenario “CSX Train N71,” a trio of leviathan CSX EMD SD80MACs (above and below) lend their collective 15,000-horsepower to the head end of a heavily loaded eastbound coal train which originated at Bailey Mine. Bound for CSX’s yard at Newell, Pa., CSX Train N71 crosses over the Monongahela River and enters Brownsville, where it will swing north. The ten career scenarios in Coal District Scenario Pack 01 are closely based upon actual NS and CSX operations and train symbols. Norfolk Southern Train N09 is a coal turn operated between Alicia, Pa., and the Blacksville Mine on the Waynesburg Southern. 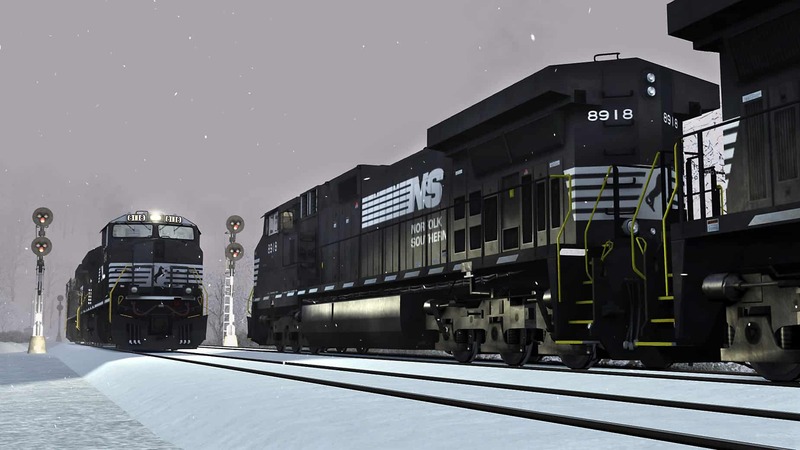 In the two-part scenario “NS Train N09,” you’ll climb aboard the cab of Norfolk Southern GE Dash 9-40CW 8918 as it battles with winter weather and busy rail traffic during its journey from Waynesburg to Alicia with coal loads for barge transloading. While coal may be king on the ex-Monongahela lines, there are other duties to tend as well, and in Coal District Scenario Pack 01’s career scenario “NS Local C26,” you are the engineer of a pair of Norfolk Southern hi-nose EMD GP38-2s as they switch mixed tonnage (above) and work the rail-to-barge transloader (below) at Alicia, Pa.
Moving immense tonnage requires a well-maintained rail infrastructure, and in the scenario “NS Extra 8025 East,” you are the engineer of a heavy train of ballast headed for the Waynesburg Southern. No doubt the local railfan network is buzzing, because on the point of the ballast extra is Norfolk Southern GE ES44AC 8025, fittingly dressed in the heritage livery of the Monongahela Railway. 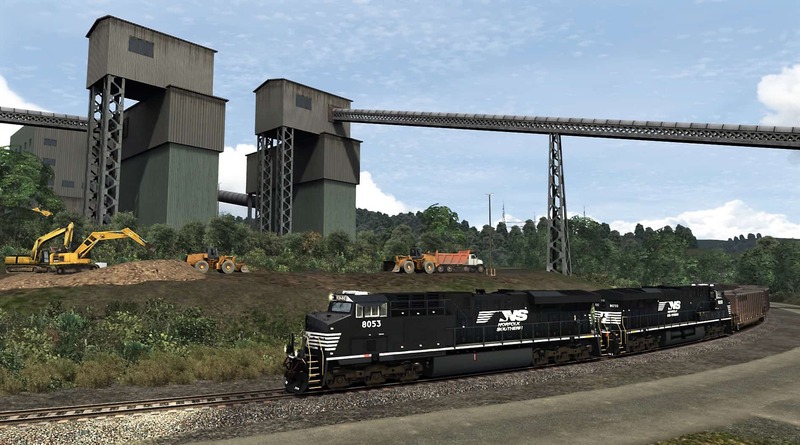 Based on actual Norfolk Southern and CSX rail operations, the ten realistic and challenging career scenarios of Coal District Scenario Pack 01 will put you at the heart of the action as America’s two eastern rail titans work side-by-side. High Iron Simulations’ new Coal District Scenario Pack 01 is now available at the Dovetail Games and Steam Stores!